You can use this box to put rhinestones, tweezers, nail clippers, polishing strip, nail pens,cuticle pusher and so on. The box is a plastic material, the weight is very light but very strong. It will not be broken under normal circumstances. A good choice for storing jewelry or other small things in your family, keep them tidy and organized. Color: Clear. Material: Plastic. Easy to use and light weight. Empty storage case box for nail art. 1 x 15 Slots Storage Box. There are 15 separate accounts for storage. Color: white. Perfect for storing glitters, rhinestones, shiny sheets or other products. Paket inhalten: : 10 Flasche. Material: Aluminium. Diese Gebühren sind die Verantwortung des Käufers. Kanada, Großbritannien, Australien, Frankreich, Deutschland, Spanien, Irland, Italien, Andere. 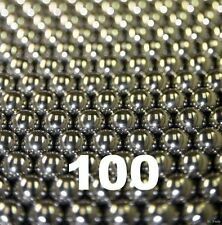 Capacity: 10ml. Size: 10ml: 3.1 6.3cm/1.22 2.5in. Ideal for storing nail polish. Material: plastic glass. Color: translucent. Included: 1 x Storage Box. If item is defective after 3 months, you can still send it back to us. We will send you a new one after receiving the defective item. Product size: about 19.3 x 5.7 x 3cm/7.6 x 2.24 x 1.18". 1 Pc(28 slots). Each pot is featured with cap. Color: As the picture shown. We are committed to resolve all issues in a friendly and satisfactory manner. Espositore Spirale TRASPARENTE 120 Nail Art Tip con base bianca. Materiale: acrilico e acciaio. >>>>> N O T A B E N E ! non esitate a contattarci! Each pot is designed with a cap. Size of each pot: Approx. Color: Transparent. 10 Storage Pots. Material: Plastic. 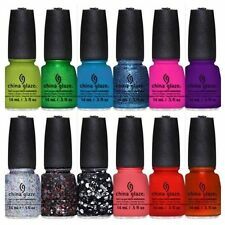 Suitable for nail art paint mixing, uv gel, uv gel polish blending. Color: random. we will do our great effort to help you out and solve the problem. 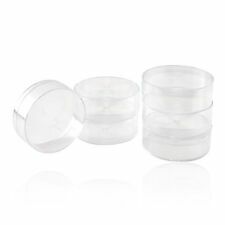 Clear color of nail wipes holder can keep over 250pcs of nail wipes. Lint wipes can be use with finishing wipe on nail extensions / overlay or nail polish remover. The nail wipes in the photo do not included. 12 separate divided empty nail box plastic empty case. 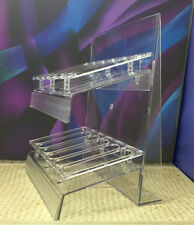 Perfect for storing false glitter, rhinestones, shiny sheets, Dried flowers or other nail art products. Multi-purpose portable bin, fashion and easy style. Features: 100% brand new and high quality. Designed with multiple grids, you can add or lessen the grid quantity as you need by adjusting/detaching the plastic sheet. 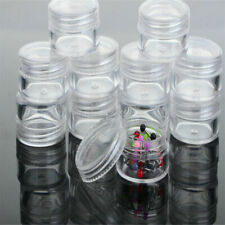 Aplicable to store earrings, necklace, bead, finger ring or other small jewelry, nail art, makeup, pill products, etc. Lightweight and compact, practical and convenient to carry. Simple but stylish design, you surely like it. (A) USA: 2-4 Wochen. B) Großbritannien, Australien: 2-4 Wochen. For acetone / cleanser / polish remover / makeup remover etc.This Pump Dispenser is used to Dispense Liquid from the bottle in a Handy, Easy and Very Convenient Manner.Fill the bottle with the liquid desired. ONLY Storage Box, not including other accessories. Material: Plastic. Color: translucent white. Due to the different monitor and light effect, the actual color of the item might be slightly different from the color showed on the pictures. Pro Nail Art Brushes UV Pen Holder Cleanser Cup Brush Bottle Nail Art Tools. This is a must-have little handy cleanser cup for soaking nail art line pens, acrylic brushes and shading gelbrushes. 1 x Nail Art Brushes Pen Holder Cleanser Cup Bottle. Tamaño de la caja de envase: aprox. 12,1 cm x 9,3 cm x 2 cm. Color: claro. Servicio de garantía. Descripción: 100% nuevo y de alta calidad. Cada maceta se ofrece con cap (hilo de rosca). Tamaño de cada maceta: aprox. Empty storage case box for nail art. Perfect for storing glitters, rhinestones, UV Gel, polish or other tools. 1 x Nail Art Storage Box(Other accessories NOT included.). Color: Clear. We will solve your problem ASAP. 1 Nail Drill Bit Holder. Make nail drill bits look tidy and orderly. Type: Nail Tools. Color: Pink. Mini size design, bring convenience and save space. Firm and flat ABS base, won't slip easily. Item Size: Approx. 28 Slots Clear Plastic Empty Nail Art Rhinestone Tools Jewelry Beads Display Crystal Beads Accessories Container Nail Box. 1 Nail Art Empty Storage Case. Quantity: 28 Slots/ case, 4 color/slot. Wonderful nail art tool display stand holder case storage box. For cleanser / makeup remover etc. This Pump Dispenser is used to Dispense Liquid from the bottle in a Handy, Easy and Very Convenient Manner. Weight: Approx 41g.